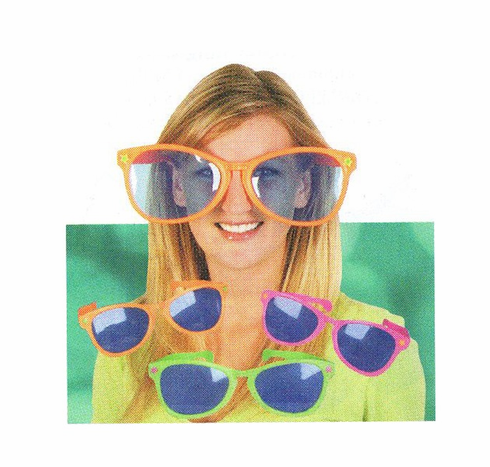 Keep more than the sun out of your eyes with these sunglasses! 11 inches wide! *Price is per pair of glasses. Comes in a variety of colors. If we do not have the color available, we will contact you about a replacement.